Made with high-quality, organic, non-GMO human-grade ingredients, to ensure that no preservatives, additives, or unwanted fillers will be present in your beloved pet’s food. To guide you better, they have included photos of the procedure and the ingredients they use. 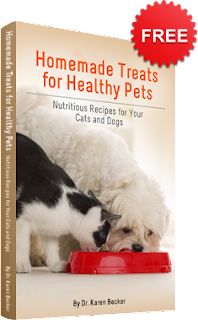 You will also get a FREE subscription to Dr. Becker's Healthy Pets newsletter. AND a FREE subscription to the Mercola Healthy Pets Newsletter, where you can access insightful articles loaded with breakthrough holistic information to help improve your pet's health.